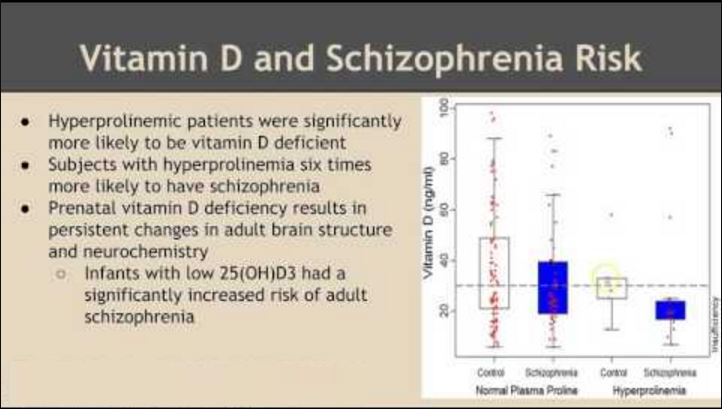 According to one of several studies unveiled at the Annual Meeting of the American Academy of Neurology, mixed in between a pair of studies further confirming how Vitamin D helps delay the process of neurological decline associated with Alzheimer’s Disease was a potentially groundbreaking bit of research, the cognitive treasure of Chafic Karam, a fellow at the Mayo Clinic in Rochester, Minnesota. Karam and associates authored a study entitled “Can Vitamin D Delay the Progression of ALS?” The study was conducted throughout the 2011 calendar year. The study involved 37 patients, all of whom suffer from ALS (Lou Gehrig’s Disease). All 37 were examined for a nine month period leading up to the point at which the testing of the hypothesis began. 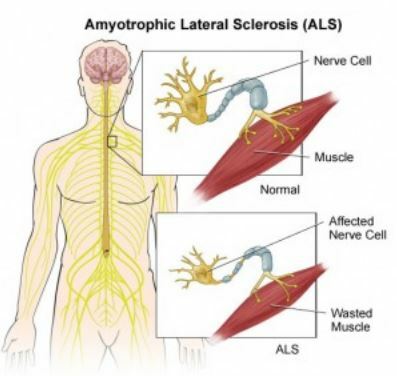 Twenty of the ALS patients were administered 2,000 IU of Vitamin D3 per day, while the other 17 were administered no vitamin D.
The patients were reexamined every three months. During the nine months leading up to the administration of what I can only presume were relatively well-made, top-shelf vitamin D3 (cholecalciferol) supplements, both groups showed similar progression in the ALS Functional Rating Scale (ALSFRS-R). However, upon the administration of the vitamin D supplements that began to change. At the three, six and nine month reexamination intervals, the group being administered the supplements showed slower rate of decline than the test group, which was being given no supplementation. This suggests a possible relationship between down-the-road ALS treatment regimens and a possible role for vitamin D supplementation therein. 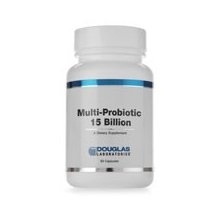 Let’s start with the facts behind what probiotics are. The root of the word probiotic comes from the Greek word pro, meaning “promoting” and biotic, meaning “life.” The Food and Agriculture Organization of the United Nations (FAO) defines probiotics as “live microorganisms, which, when administered in adequate amounts, confer a health benefit on the host.” Yes, they are actually alive, and most of these microorganisms are bacteria. Most people think of antibiotics and antibacterial products when you mention bacteria. Both of those kill bacteria so why would you want to consume anything that has live bacteria in it? It’s all about balance. Increasing the number of good bacteria in the GI tract by taking probiotics supplements and eating foods that contain the “good bacteria” may help combat a number of health problems, a growing number of scientists say. New research indicates that specialized strains of these good bacteria could also help alleviate some mood and anxiety disorders. 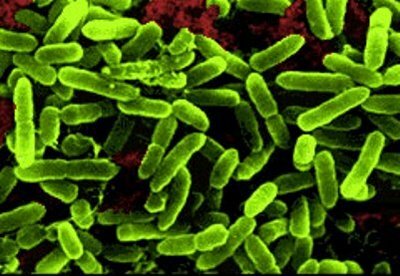 When University of Toronto researchers gave chronic fatigue syndrome sufferers three daily doses of a Lactobacillus strain for two months, it boosted their levels of good bacteria. “At the same time, we reduced their anxiety,” says lead researcher A. Venket Rao, PhD. When the patients stopped taking the probiotic, their symptoms reverted as well, he says. Our stressed-out lifestyle may be our stomach’s biggest enemy. According to María Gloria Domínguez Bello, PhD, a professor of microbiology at the University of Puerto Rico, society’s hectic pace, which leads to our reliance on junk food and overuse of anti­biotics, is throwing our internal ecosystem out of whack; she believes that there’s a link between our gut bacteria and the rise of food allergies and autoimmune diseases — Crohn’s Disease and Rheumatoid Arthritis among many others — in the industrialized world. “When there is a loss of balance in the different types of intestinal bacteria, they send signals to our immune system to overreact and become inflamed, leading to disease,” Domínguez Bello says. If it seems as if your stomach sometimes has a mind of its own, that’s because it does. The gut’s lining houses an independent network of hundreds of millions of neurons — more than the spinal cord has — called the enteric nervous system. It’s so complex and influential that scientists refer to it as “the second brain.” In addition to being in charge of the digestive process, your gut lining is the core of your body’s immune system and defends you against such foreign invaders as viruses and bacteria. Cells in the gut lining also produce 95 percent of the serotonin in our bodies. (The rest occurs in the brain, where the hormone regulates happiness and mood.) In the gut, serotonin has a range of functions, including stimulating nerve-cell growth and alerting the immune system to germs. Thanks to serotonin, the gut and the brain are in constant contact with each other. 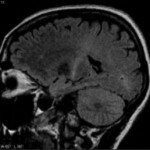 Chemical messages race back and forth between the brain’s central nervous system and the gut’s enteric nervous system. When we’re stressed, scared, or nervous, our brain notifies our gut, and our stomach starts to churn in response. When our digestive system is upset, our gut alerts our brain that there’s a problem even before we begin to feel the symptoms. Scientists suspect that our moods are negatively affected as a result. “The gut is sending messages that can make the brain anxious,” Dr. Gershon explains. When the digestive tract is healthy, it filters out and eliminates things that can damage it, such as harmful bacteria, toxins, chemicals, and other waste products. 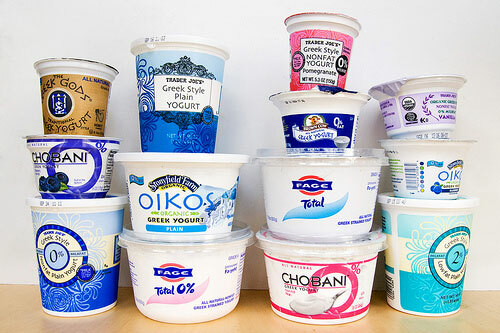 Side effects are rare, and most healthy adults can safely add foods that contain probiotics to their diet. Prioritizing life and health maintenance is essential to achieving health and longevity. Diet, exercise, stress reduction and the avoidance of toxins are all key elements of health. To operate optimally, the body needs a number of different vitamins, minerals and nutrients. The 13 essential vitamins are divided into two groups, fat soluble and water soluble. Vitamins A, D, E and K are fat soluble and can be stored by the body. B vitamins and vitamin C are water soluble – with the exception of vitamin B12 and they cannot be stored. Medical foods represent an entirely different scientific and medical approach to managing health conditions. 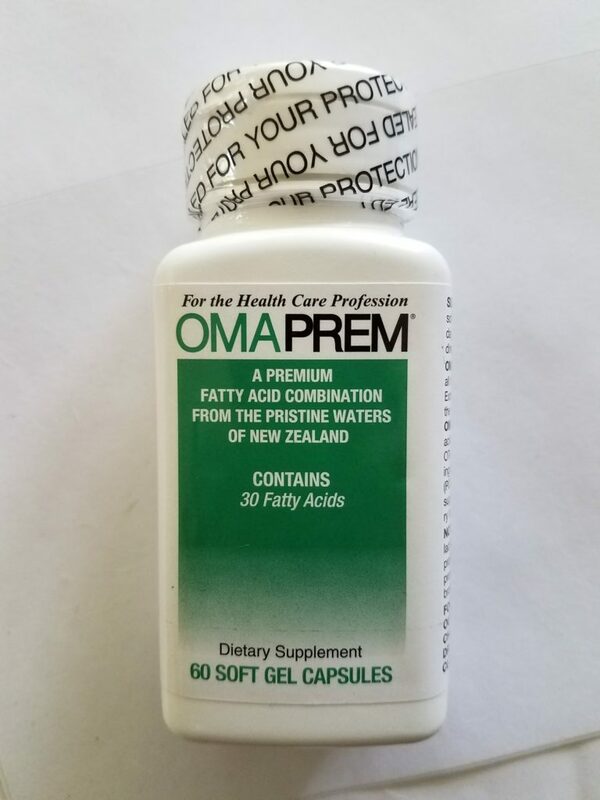 They are formulated with macro-and micro-nutrients that are recognized by scientific principles to support the dietary management of a disease or condition, and are to be administered under the supervision of a physician or license healthcare practitioner. 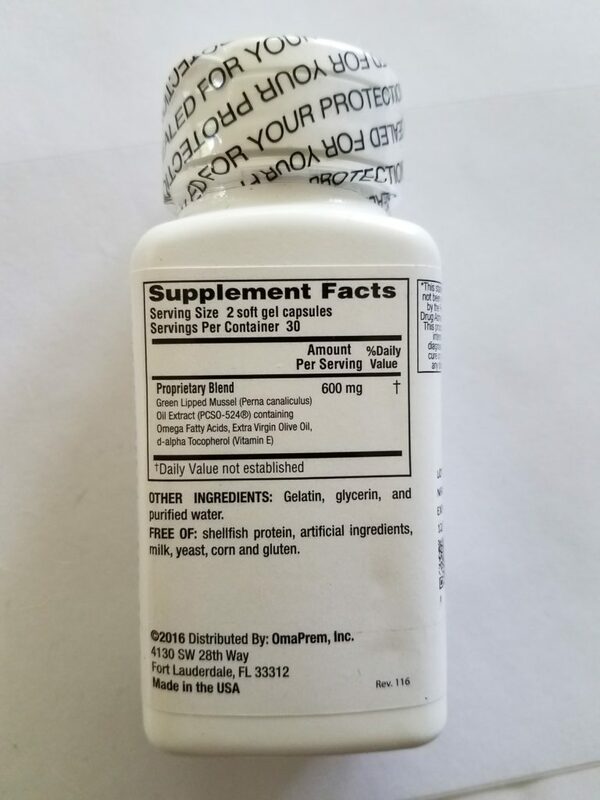 Furthermore, they must be specially formulated and processed to provide nutritional support as part of an ongoing doctor-supervised dietary management program to treat a specific therapeutic or nutritional need. Medical foods contain nutrients in therapeutic amounts that typically cannot be acquired through normal dietary measures. High quality nutrients are different that low quality nutrients such as those that you find in the drug store or over the counter. Many of the negative vitamin studies reported throughout the course of the past decade were conducted using extremely low quality, drugstore and supermarket brand vitamins and nutritional supplements. Medical foods that are manufactured and packaged under GMP-certified conditions assure the highest quality and clinical reliability. 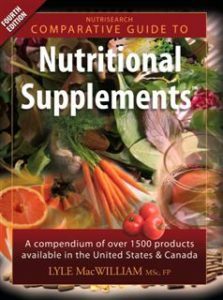 Nutrisearch by Lyle MacWilliams is a good comparative guide to nutritional supplements or the lack thereof. The effectiveness of medical food programs have been evaluated in numerous clinical intervention and observational studies and published in well-known healthcare journals. 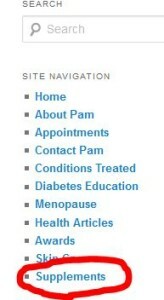 For questions or more information relating to this article, Ms. Egan can be reached at 985-892-3031 or www.pamelaegan.com.